Kissing fact: It is estimated that the average person spends 20,160 minutes or 2 weeks kissing in their lifetime. So you better make sure they are ready at all times as you never know when it’s going to happen! 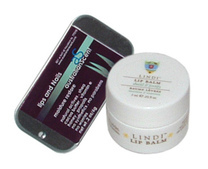 My lips have been all over, or rather, two that have been all over my lips are AUSTRALIAN SCENT’s Lips and Nails ($8/.2oz tin @ australianscent.com) and LINDI SKIN’s Lip Balm ($10 @ lindiskin.com). How did they know that after I’m done rubbing my lips with the balm, I massage the excess into my cuticles? Both balms make this suggestion, as they too know it’s just as nourishing for the lips as it is for nails. 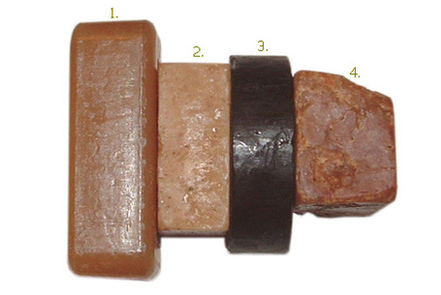 What better way to wrap yourself in the nourishing ingredient of HONEY than with a luxe soap? Here’s part III of our on-going feature so get yer soap on with any of the below.